Deciding on the best place for your child’s early education or wrap around care can be difficult as there are many different options available. Here we aim to demystify what each group is, how it is run, and what signs to look for to know it is a good quality group and therefore the best fit for you and your family. Baby and Toddler groups offer great opportunities for parents and their children to socialise with other families. They are most often run by a group of parents whose own children attend the setting. Parents stay and play with their young child in these groups and session usually last for a couple of hours each week. Parents will often pay a weekly charge that will go towards the venue hire and any other associated costs such as activities that may be provided. Baby and toddler groups often don’t meet the financial threshold to become a registered charity but may still elect a committee to help make decisions about the running of the group. A set of policies that details how the group will run and what it expects in turn of parents is good practice for a baby and toddler group. Playgroups offer sessional care within school hours; for example a morning, afternoon or full session from approx. 9am – 3pm and run during term time only. They are often committee run with charitable status and often operate out of church halls or community buildings. Children attend playgroups without their parent or carer. Some groups will only take children from 3 years but many will now admit children from as early as two. Fees will be charged for those children not in receipt of local authority funded places. Full day care nurseries offer provision for children under five. Not all nurseries have baby rooms and facilities, but many do. They provide fun activities as well as learning opportunities on a full or part-time basis and are usually open all year round. There can be different kinds of day nurseries – privately owned, community with charitable statues, local authority nurseries or workplace nurseries on site of large organisations. The size and facilities they provide can therefore vary depending on type. They will be funded mainly through fees, but also through funded places offered by the local authority. A nursery class attached to a school will be attached to a primary school. They may operate out of a separate building and outside space but will share the same headteacher and staff. They provide early education for 3 and 4 year olds. 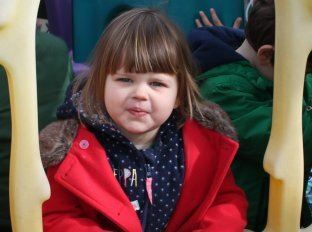 These settings are run by the Local Authority (LA) and places are funded through the Early Years Funding scheme, whereby children are funded from the beginning of the school term after their third birthday. Admission priority may often be given to children living in the catchment area. These facilities are usually open during school hours, and offer sessional care – usually 3 hour morning or afternoon sessions. They are only open term time. Childminders are self-employed people who care for children in their own home, they will be Ofsted registered. They provide full time or part-time care and this may be during, before or after school – childminders often take/collect children from school. Some childminders will also provide holiday, weekend and overnight care. Childminders are often very flexible and can care for children of a variety of ages – they often take siblings. All registered childminders in England are legally required to complete basic training in order that they understand and can implement the EYFS before they can register with Ofsted. They will also be trained in paediatric first aid. Childminders will charge fees and may also have access to the local authority funding. Out of school clubs operate before or after school or both. 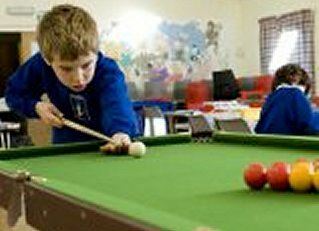 Holiday playschemes operate during some or all school holidays. They may be run by the school or may be privately owned. Some may be registered as a charity and have an elected committee. Some clubs do not need to register with Ofsted – this is dependant on the children they take and their hours of operation, but all should have a comprehensive set of policies and procedures on how their group will operate. Out of School clubs will charge fees. Staff do not need to be qualified to work in an out of school club but some staff may hold relevant Playwork or other childcare qualifications.